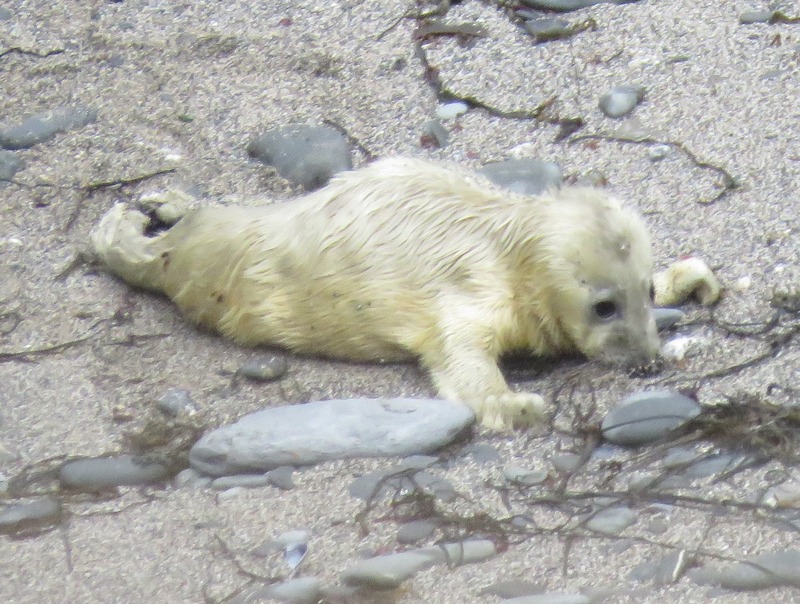 Uno was the first grey seal pup to be rescued of the 2015/16 season in Cornwall mainland. On 3rd September 2015, Sue and Kate from Cornwall Seal Group (CSG) were concerned about a one day old female seal pup with a white coat and a pink umbilicus during a routine monitoring session. 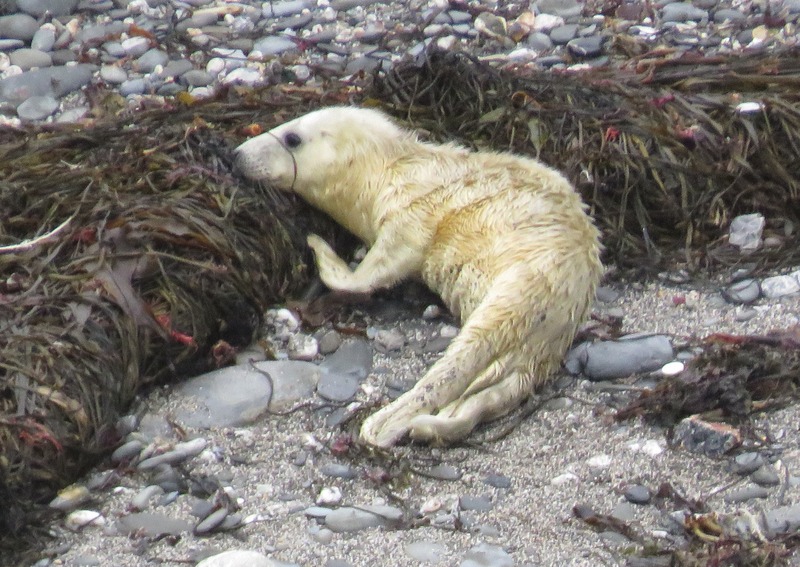 They were alerted by the pup’s abnormal behaviour, as it was searching for its mum all over the beach and in the sea whilst howling repeatedly and attempting to suckle sand, seaweed and rocks. 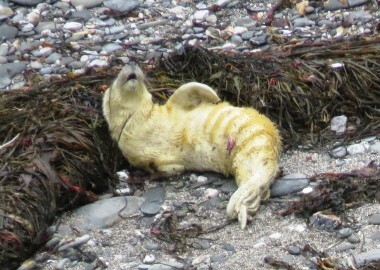 As a result the pup had sore patches under both fore flippers and a tiny pink worn, bald patch developing under its chin. After monitoring the pup for two hours, they contacted the local British Divers Marine Life Rescue (BDMLR) coordinator, Dave Jarvis for a second opinion whilst also enlisting two volunteers – John Eddy & Katie Bowdler (members of Looe Marine Conservation Group) to monitor the pup in the hope that the pup’s mum would return to feed it in the next few hours. 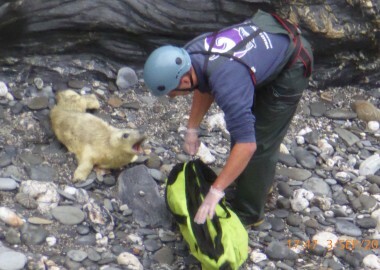 Sadly this did not happen and the difficult decision was taken to rescue the pup. 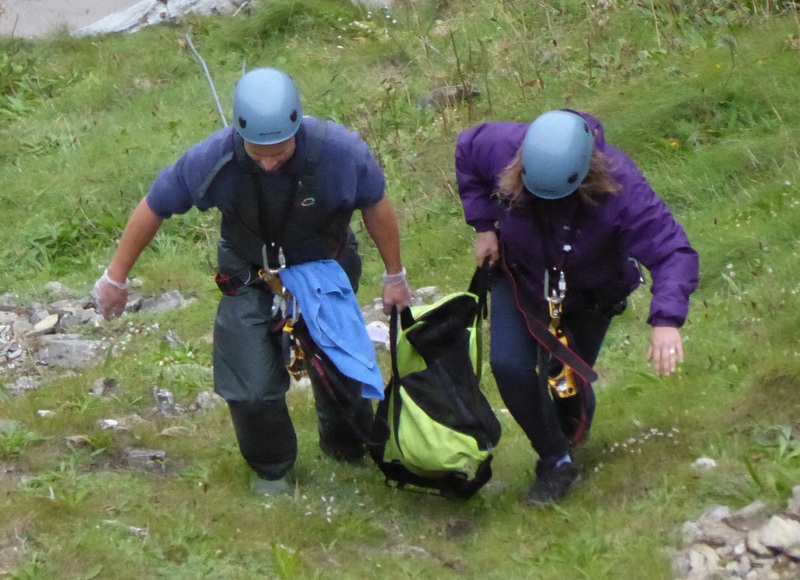 Chris Howell (safety coordinator) and Dan Jarvis, a member of the Cornish Seal Sanctuary´s (CSS) Animal Care Team, abseiled down the cliff face and rescued the pup supported by Adam Amel from the National Trust and Sue in a rescue coordinated by Dave and Lesley Jarvis and photographed by Kevin Metcalfe from BDMLR. 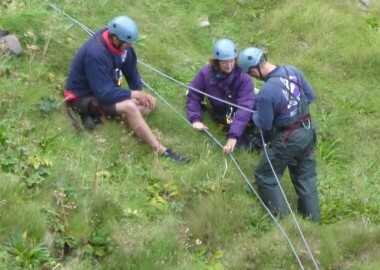 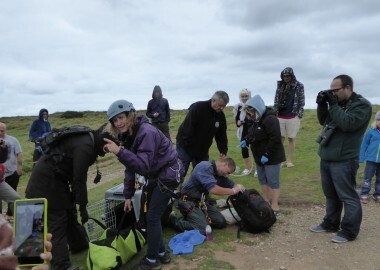 By the time the rescue team had returned to the clifftop, a huge crowd of onlookers had gathered, so Sue to explained to everyone present about why the rescue situation had arisen and why it had been needed, whilst Dan administered the pup with hydrating fluids before Dave and Lesley transported it to the Cornish Seal Sanctuary. 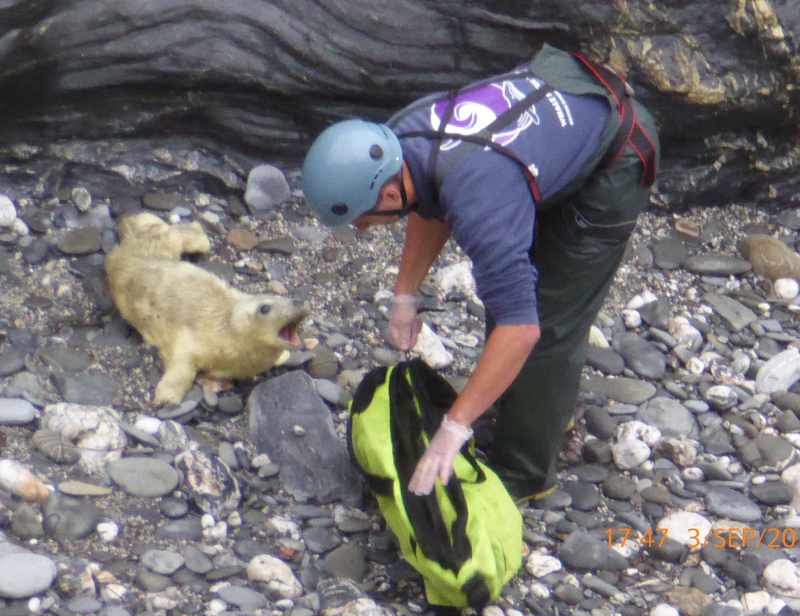 On arrival members of the Animal Care Team carried out a full assessment of the pup and found it to be a female, with an intact umbilicus and weighing in at just 14kg (an average birth weight for a grey seal pup). 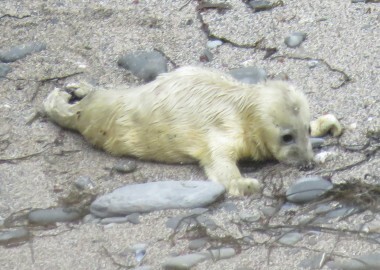 CSS staff are naming pups after board games this season, so this being the first, it was aptly named Uno! 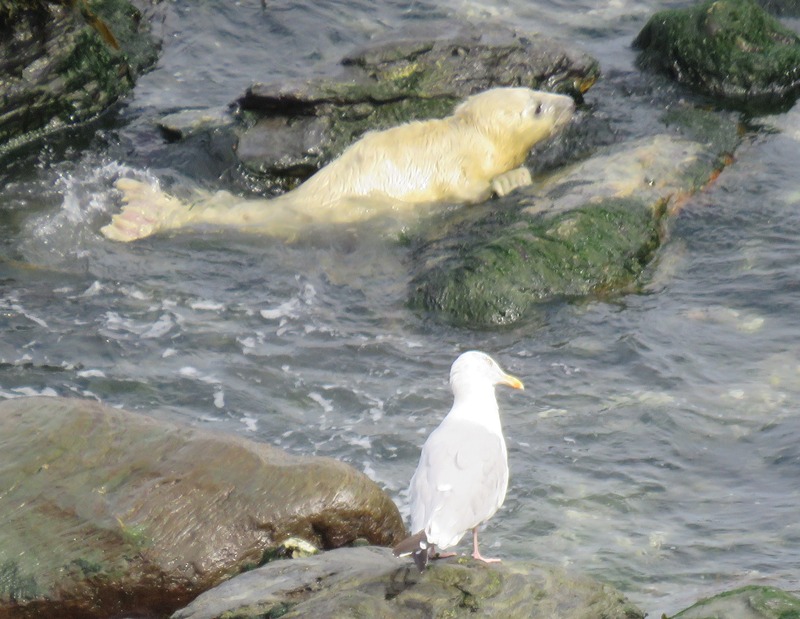 Uno was given 24 hours of fluids before starting on a milk substitute and is now transitioning onto fish which she loves! For more information and updates about Uno, please visit Uno’s page on the CSS website. 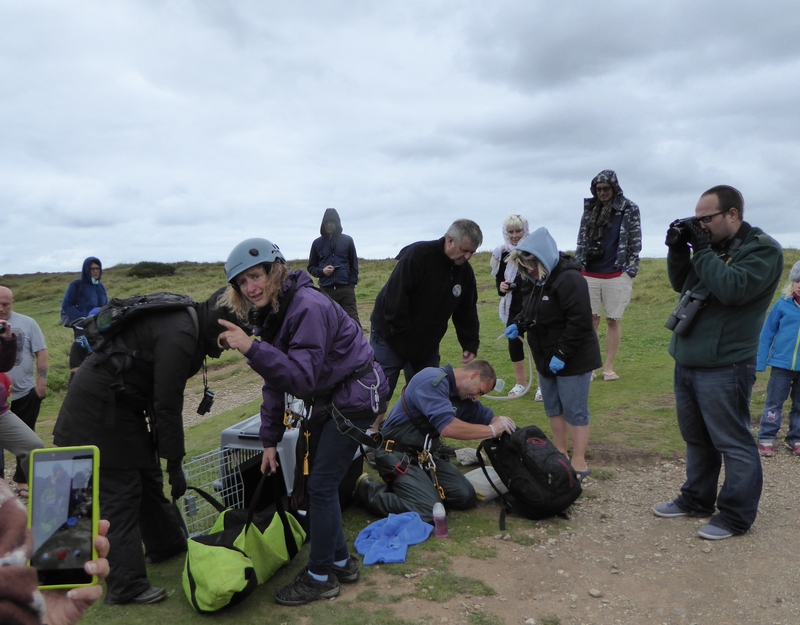 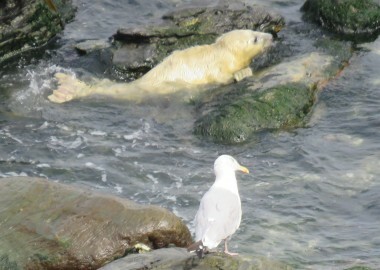 Huge thanks to everyone involved in making this a swift and successful rescue.